Out With The Old ~ In With The New? As you may expect with me being an online counsellor, I have a keen interest in technology and enjoy keeping up with developments in the technological world. Indeed, as well as regularly flicking through therapy journals I am an avid reader of the ‘tech-press’, and follow developments with new products and services closely. Today I purchased a new tablet computer, and so will be getting more familiar with its capabilities and new features over the coming days. It sometimes seems as if a new product or product line is launched every few weeks, with the latest version of ‘x’ promising more than the model it supersedes. From flatter-screen televisions to ‘smart’ appliances, the pace of change in the world of technology only seems to be accelerating. You may be wondering, if I take such an interest in new devices and applications, is my counselling office full of the latest gadgets and gizmos? The answer – which may come as a surprise to some reading this article – is ‘no’. Although the technology I use is fully up-to-date with the most current security releases and the latest data encryption methods, some of the devices I use have been providing me with good service for several years now. Why, you might ask, do I not upgrade and swap the old version for the latest model? The answer is simple, and comes down to two things; reliability and refinement. We can be easily tempted to rush out and buy the latest ‘version 2’ of a particular product, egged on as we are by a glossy advertising campaign and the promise of dazzling new features, yet what is sometimes forgotten is that version 1.9 of that product has received many updates to fix problems, iron out bugs and improve the user experience. The problems that arrive with the second major revision of the device are initially undiscovered and un-addressed. 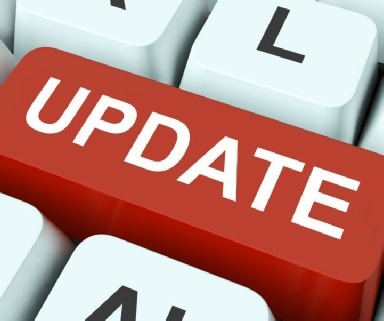 It will take time for slight adjustments to be made to the software and firmware, and it may be some weeks or even many months before version 2 is as stable as version 1.9. When this happens - yes, you guessed it - it will be called ‘version 2.9’. I have often thought that the way we go about living our lives is like this, in that as we follow our daily routine we are constantly (and often unconsciously) refining the way we do things. From adopting a smoother way of changing gear in our car, to finding the most efficient route around the supermarket, we often constantly adapt in order to find the optimum way of getting the job done. We can, at times, lose sight of the fact that we are the experts on our own lives. Sometimes a client will make contact with Ashwood Therapy seeking therapeutic support, yet may expect me as the counselling ‘expert’ to find the best way through their current difficulties for them. The client may expect there to be a breakthrough answer to their issues which has so far proved elusive, that I may be able to shed light upon immediately. Perhaps they are looking for a ‘self 2.0’ instead of the old ‘self v1’ that they are unhappy with. More often than not, in working with a client to shore up their own sense of who they are, and to increase their confidence in knowing what feels right for them, they are surprised to find that they are the ones who can best provide the answers to the questions that they have been asking all this time. Instead of the revolutionary changes that they may have attempted in order to ‘be someone different’, when a client accepts that smaller, evolutionary changes are more sustainable and manageable then resolving long-standing problems can seem more do-able. Issues that were once number one priorities can sometimes be laid to rest with a shrug of the shoulders, if acceptance of how something really is proves to be a better solution than trying to change the unchangeable. It may seem at times that nothing is working right or that everything needs fixing. In my clinical experience I have found that when a client’s situation is examined within the safety of an accepting and supportive relationship, strengths can be rediscovered and progress and expertise recognised. Do we really need to upgrade and throw out all of the old, when with a little attention and care we can appreciate that there may be a lot to like about what we currently have and do?